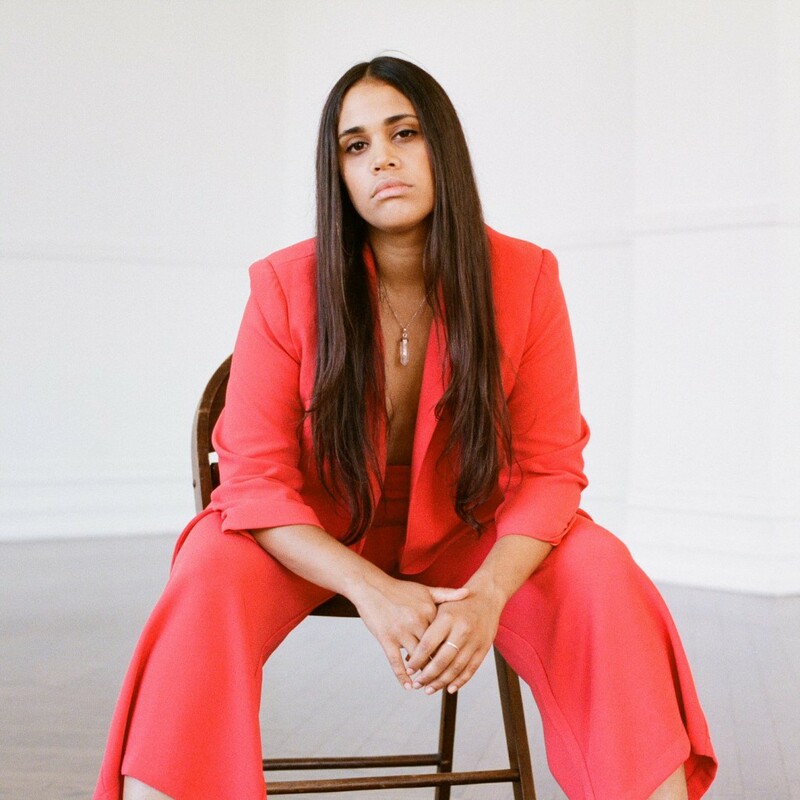 A fixture of Toronto’s music community and a sought-after collaborator, Lydia Persaud stands alone with her debut album Let Me Show You. Lydia’s sound expands the boundaries of soul to include both folk and jazz, styles that have been foundational to her musical growth. Lydia attended the rigorous jazz program at Humber School of Music, where she won the Oscar Peterson Jazz Award and connected with fellow members of the folk trio The O’Pears, whom she has been collaborating with for the past 7 years. Working in these styles honed Lydia’s mastery of sophisticated vocal harmony and blend, leading her to become an in-demand vocalist. Lydia has supported such icons as Gordon Lightfoot, David Crosby, and Lee Fields, as well as opened for Serena Ryder, Sarah Harmer, and Joey Landreth. She is also a member of renowned cover band Dwayne Gretzky. Participating in the folk and jazz scenes in Toronto developed Lydia’s technical expertise while infusing her work with a storytelling and emotive quality. “I’ve always considered jazz to be very soulful, expressive and spontaneous where folk music is a bit more calculated with a singer-songwriter form that boils down to the root complex feelings and concepts”. With Let Me Show You, Lydia draws inspiration from her musical heroes, such as Donny Hathaway, Bill Withers and Carole King, while touching on vital issues that deeply affect her. Her music melds genres while Lydia’s clear message shines through on the power of her unforgettable voice.